Following two weeks of political threats and controversy relating to the coalition crisis, Prime Minister Binyamin Netanyahu spoke out at the weekly cabinet meeting on Sunday, addressing the issue of infrastructure work carried out on Shabbat, and the government’s pledge to uphold the religious status quo. The fracas which erupted in late August centered on work being carried out by the Transportation Ministry during Shabbat for public transportation networks, notably the Israel Railways system. Religious MKs criticized the leniencies in permitting work on what is legally recognized as the Day of Rest in Israel, saying that only cases where a clear threat to life exists should exceptions be made on the restriction on Shabbat work by government agencies. 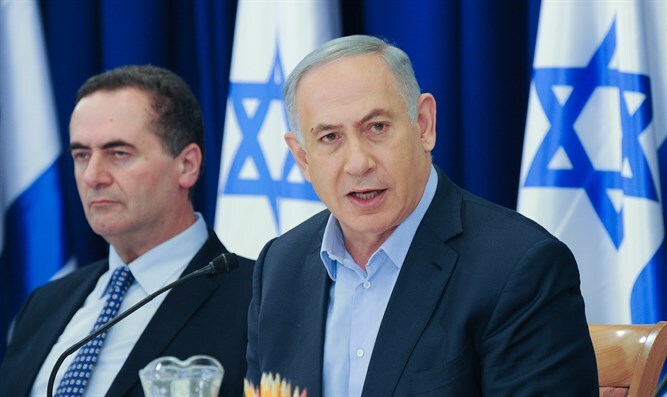 On Sunday Netanyahu, who has called for the creation of an oversight committee to ensure that public infrastructure projects are only carried out when absolutely necessary, reaffirmed his coalition’s commitment to maintaining the status quo on religion and state. The Prime Minister also paid tribute to Herzl Shaul, whose son Oron was killed by Hamas terrorists in 2014. Shaul, who struggled for years to win the release of his son’s body from the terror group, passed away on Friday after a battle with cancer. “Today, the late Herzl Shaul, the father of IDF soldier the late Oron Shaul, will be laid to rest. Oron's body, along with that of Hadar Goldin, is held by Hamas, a vicious terrorist organization that respects no humanitarian norm. Herzl Shaul was a brave man and until his last days he fought to return his son's remains for a Jewish burial. At the same time, over the past year, he was compelled to fight the cancer with which he had been stricken. I saw him several times and on each occasion, from meeting to meeting, he appeared more gaunt, and heroically met the double tragedy that befell him and his family. On behalf of the Government and the people of Israel, I would like to send condolences to his dear wife Zehava and their sons Aviram and Ofek. We will continue to act in all fields to bring the late Hadar Goldin and the late Oron Shaul back for a Jewish burial."